A sprinkler system is a great way to keep your lawn healthy and green. If designed properly, an automatic water system will keep your lawn healthy without wasting any water. Proper maintenance and repair help keep your sprinkler system running and conserving water. We offer service in West Los Angeles, CA as well as Beverly Hills, CA and other nearby cities. Contact us today for more information. Getting the lawn sprinkler system inspected is a great way to make sure the system is running properly, so you can be sure that water isn’t going wasted and your water bill doesn’t go up. Valve Repair – if the water pressure has become extremely low or even non-existent, the valve likely needs to be repaired. 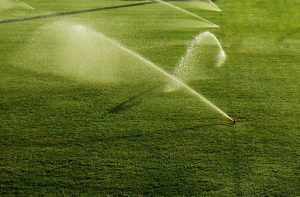 We have plenty of experience to get valve repairs done quickly and affordably so you can keep your yard well irrigated. Sprinkler Head – We can replace broken or missing sprinkler heads. If the sprinkler head doesn’t pop up or is stuck and won’t retract after a scheduled run time, it may be time to replace it. Often times the sprinkler head can become clogged with particles in the yard. If your sprinkler system isn’t running properly give us a call so we can get repairs underway. Pipe Repair – marshy areas on your line or bubbling water could be an indication of a broken or worn out pipe in the sprinkler system. We can come out and repair the section of broken pipe to prevent wasted water and get your sprinkler system running smoothly again. If you are in need of sprinkler repairs in West LA, Bel Air, or Pacific Palisades, give Sunset West Plumbing & Rooter a call today at (310) 454-2010. Updated on June 15, 2016 at 4:29 pm by Sunset West Plumbing & Rooter.